NeoVim is a fork of Vim that is focused on adding much-needed modern features. 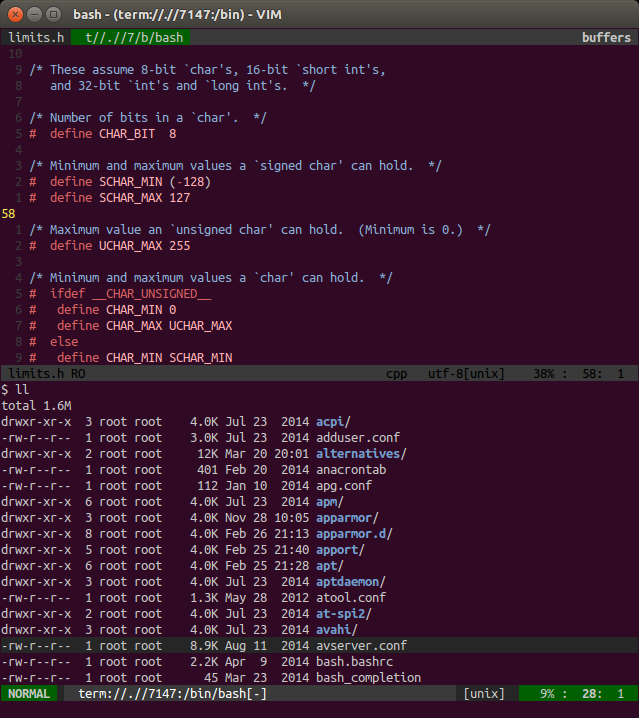 One of the coolest new features of NeoVim is that you can spawn fully-featured terminals inside it. Installing and using NeoVim on Ubuntu is a breeze. I am able to use my Vim configuration and all my Vim plugins without any change with NeoVim! Note that the config directory for NeoVim is ~/.config/nvim You could create a symbolic link to your ~/.vim for this. Note that the configuration file for NeoVim is ~/.config/nvim/init.vim You could create a symbolic link to your ~/.vimrc for this.